One of the best action movies of last year was John Wick. And it was entirely unexpected. The first trailer hit just a couple months before its release, and it caught everyone off guard. I didn't see it in theaters, but I saw it soon after on VOD, and I thought it was great! It gave us everything we love about Keanu Reeves, especially his dedication to action. With all of Reeves' action movies, you see him on screen during the stunts, instead of using shaky cam or rapid editing to hide a stuntman. Reeves takes pride in learning the choreography and utilizing it in order to service his fans. He did it with The Matrix, and he did it yet again with John Wick. "I think we have a really good premise, and it's an organic premise. 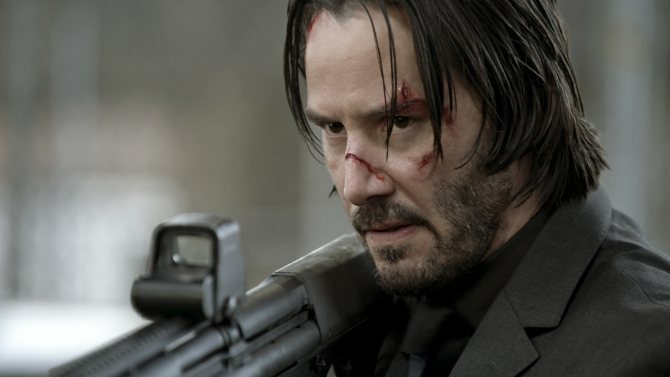 It's basically-- to me, there's John Wick and then there's John. You know, John is the married guy whose wife just died, and that five years of his life. Then there's John Wick, who's the mystical assassin. 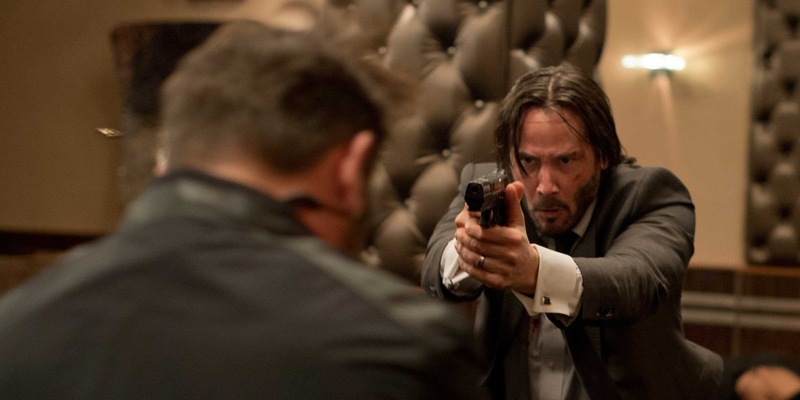 In this, John Wick's past comes and infiltrates John's life and John Wick, in a way, has to fight for John." "'Why tell the story? Why do we need to do this again? How do we do that without doing another dog?' So we speak about John Wick, the next chapter, and what is that emotional hook? What is that? So I think we have a god idea of that." 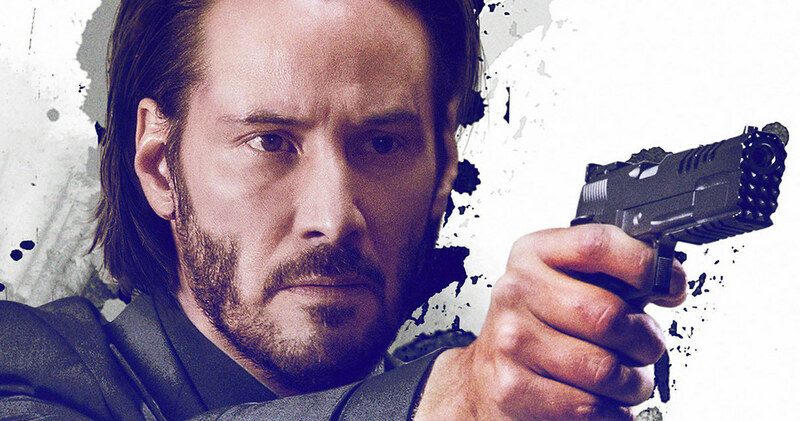 Reeves' breakdown of the dual identities of "John" and "John Wick" make sense. In fact, I think it becomes a perfect starting point for a sequel. Wick has such a rich backstory that was merely hinted at in the original film. Now, I don't want this to be a prequel, or the "origin story" of John Wick. But if this sequel developed the ramifications of Wick's colorful past, then we can introduce some darker and scarier criminal personalities. The first film was John Wick coming out of retirement, and now a signal flare has shot off in the sky. It'll be interesting to see who it alerts, and have the past catch up with Wick. "We're gonna do the same kind of thing in the sense of-- what are the guiding principles? So it's longer takes, know where you are on the space, who's doing what, action with consequence. And then going to other levels of what the gun-Fu was, which was Jujitsu and Judo mixed with weapons and different styles of weapon training. So we've been opening up, I've been learning some other tools and different styles of that, and trying to develop some more techniques in terms of Judo and Jujitsu and bring those elements into the work. And then we have some other things that might be a little different... but it's all organic. It's not like all of a sudden John Wick has superpowers. It's got to be connected to his character." The choreography was probably the best part of John Wick. The idea of gun-fu worked in the film, where utilizing his weapon became an almost fluid motion with his fighting. It was unique, and it was incredible to watch. I like the idea Reeves bring up of consequence in action. Something that I did notice in John Wick was how realistic it was. The action didn't defy gravity, or become unbelievable at any point. When Wick was punched, there were real consequences for him being hit. He would be bruised, or he would bleed. Due to that, everything felt real. This realism made the movie work, and I'm excitied to see the style continued in the sequel. What do you think? Do you like Keanu Reeves' comments? 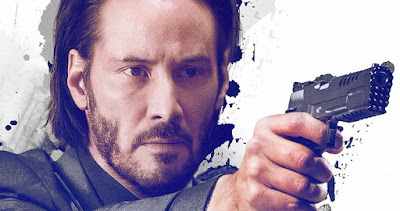 Did you like John Wick? Are you looking forward to the sequel? Leave your thoughts in the comments section below.